Guests gather in the Ferry Building Marketplace before sitting down to dinner in the Grand Hall. 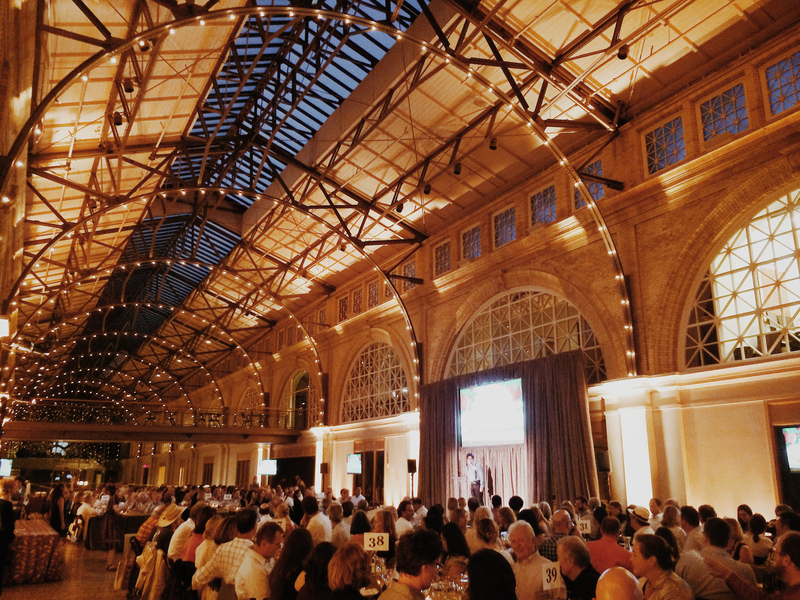 CUESA (the Center for Urban Education about Sustainable Agriculture) hosted a sold-out Sunday Supper on October 5th for over 300 guests, in support of the organization’s youth programs and the celebrated Ferry Plaza Farmers Market. 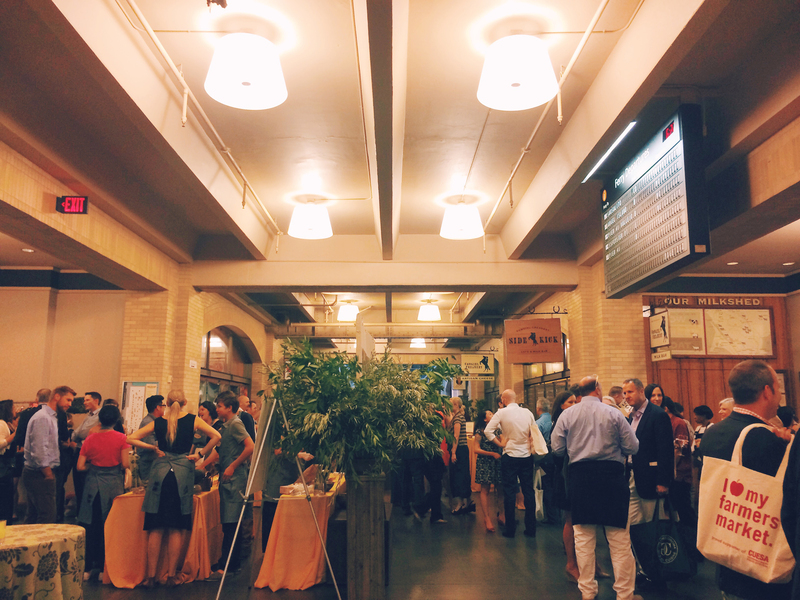 From the reception in the Marketplace to the four-course meal in the Grand Hall, over 40 participating chefs from around the Bay Area and farms from the Ferry Plaza community wowed diners with amazing produce and inspired dishes. BCV Principal and CUESA Board President Hans Baldauf welcomed guests and offered opening remarks before introducing new Executive Director Marcy Coburn. The evening featured a live auction emceed brilliantly by Liam Mayclem, the Emmy award-winning host and producer of KCBS’ Foodie Chap segments. Among the auction items were a “Meat Lovers Package for 8,” a private dinner party for 11 at Zuni Café and a gourmet getaway (and Foodie Chap taping) with Mayclem himself. CUESA Executive Director greets a packed house at the 12th annual Sunday Supper. 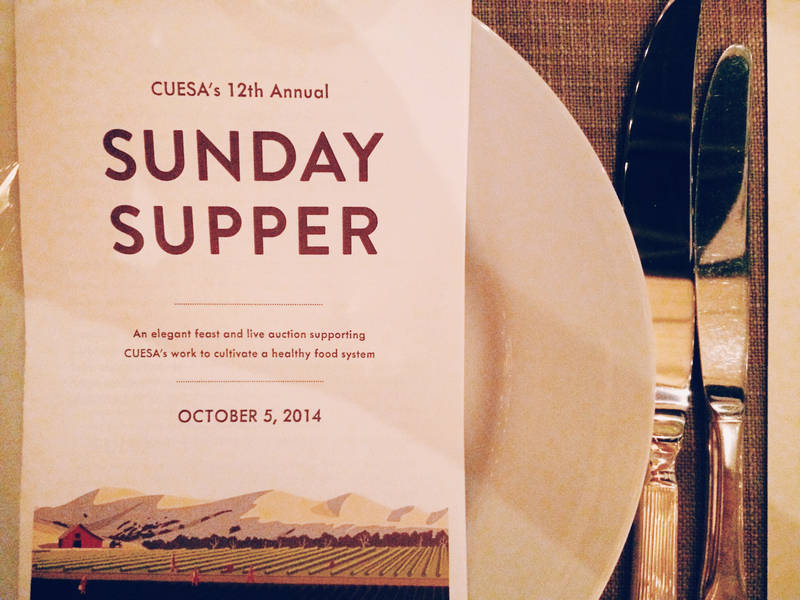 Congratulations to CUESA on another wonderful Sunday Supper! Learn more about the organization’s initiatives and upcoming events at http://www.cuesa.org/.